So, I’ve been in the UK for nearly a year now, and I thought I would share my thoughts on UK broadband. Why now? Well, I was listening to Spotify, and heard a Virgin Media Broadband ad. Then Alex bugged me yesterday trying to explain why Virgin Media is crap, etc. etc. So, as it stands, there are 2 technologies available in the UK to the consumer. Cable or ADSL. So, I have the Broadband XL package from Virgin Media, which gives me 20Mbit/s down and 768kbit/s up on the paper. About 3 months ago, I would’ve said that I would go with ADSL any time. 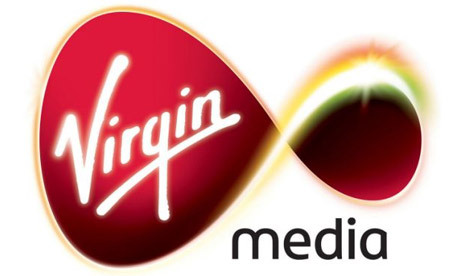 However, since the launch of Virgin’s DOCSIS3.0 Network, the DOCSIS1.0 network became usable. I am now always getting the speeds (90-100%) I should get on paper. Now, I heard people complain about the traffic caps. Now, being on Broadband XL, and consuming a reasonably high amount of traffic, I often exceed the limits. Basically, they cap your speed to 25% if you exceed 6GB from 10am – 3pm and 3GB from 4pm-9pm. In all fairness though, 25% of 20Mbit/s is still 5Mbit/s, which is about the same as you can get on ADSL here in Egham. So do I like Virgin Media? Hell no. It’s the worst internet access I have ever used! But there isn’t any better offer on the market. Yes, the speedcap is annoying, but it’s still better than ADSL. The thing that’s missing here are alternative ISPs that provide FiOS on their own infrastructure. What about Virtual ISPs on the fibre? That would allow them to have their own routing and peering, however Fibre accross most of the UK? It’s been done on ADSL for a long time. There has to be an alternative to Virgin Media, and ADSL on BTs horrible infrastructure! It’s the lesser of two evil.